Where the workpieces are not able to be repeatably positioned, Panasonic Robot Welding Systems fitted with Touch Sensing software and hardware are able to complete single, dual or three dimensional searching of the product to locate the weld start, intermediate and finish locations. This is a simple and cost effective method of automating the welding of large parts that are difficult to manufacture to a repeatable accuracy. 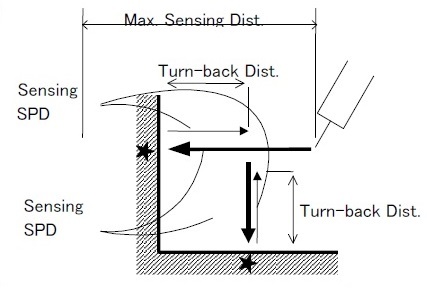 Products such as pre-tacked structures are typical workpieces that would use Touch Sensing technology. The Touch Sensing Function enables the welding of very large workpieces that are difficult to repeatably locate in a jig, or are affected by distortion in the welding process. Utilising the Panasonic Touch Sensor Menus – simply select the type of search sequence and enter the required parameters to easily teach complex search parameters. 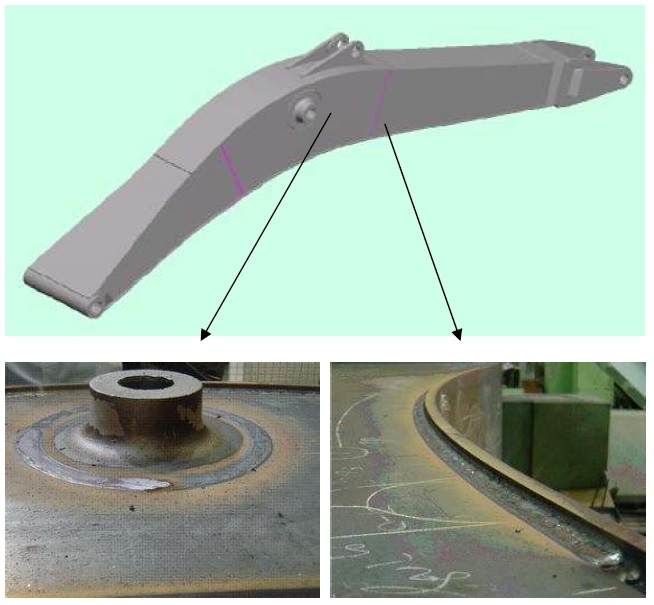 These images show examples of the welding tip searching for & measuring the groove seams. In the example to the left the searching of a bevel seam is shown. 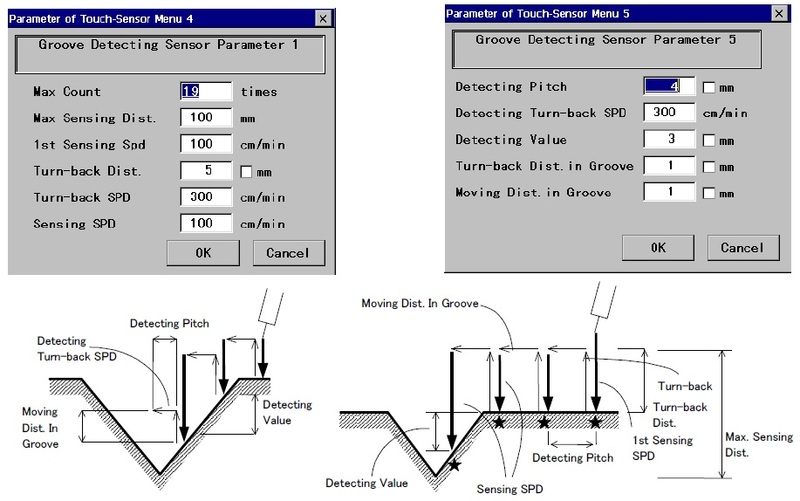 Bevel searches and Fillet searches – all made easily by the use of the Touch Sense Menus.